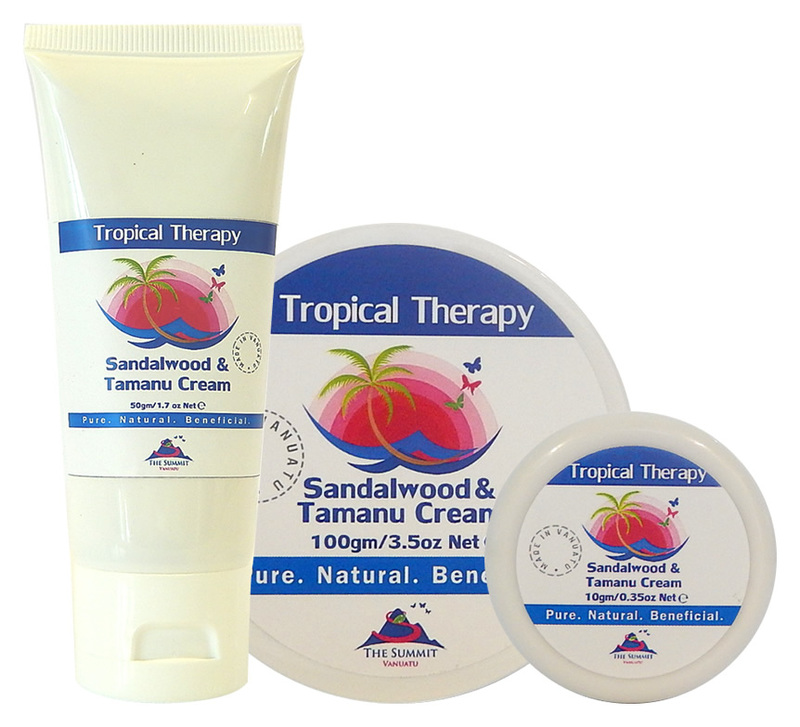 An exotic balm of Vanuatu’s finest tropical essential and nut oils. Made to a unique formula of deeply nourishing 100% pure active botanical ingredients, Sandalwood & Tamanu Cream has natural soothing and deeply hydrating qualities. Smooth decadently over skin as often as necessary, paying particular attention to scaly, dry and red areas. Skin will quickly feel newly revitalized, comfortable and healthy. We offer a NO RISK TO YOU 100% Money Back Guarantee. 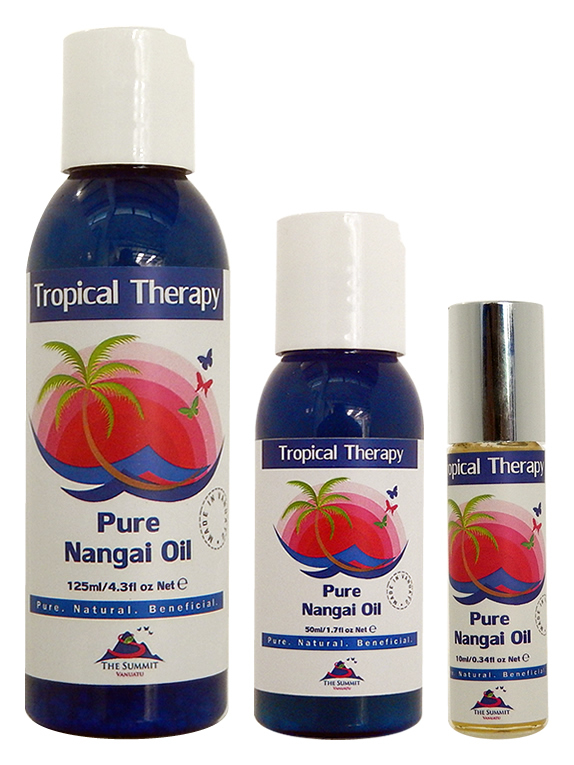 An exotic balm of Vanuatu’s finest tropical essential and nut oils. Made to a unique formula of deeply nourishing 100% pure active botanical ingredients, this naturally rich cream is soothing and deeply hydrating. Smooth decadently over skin as often as necessary, paying particular attention to scaly, dry and red areas. Skin will quickly feel newly revitalized and healthy. Also known as Ngali Oil. It is a delicate, highly emollient oil, effective at softening and soothing the skin. Known to relieve the symptoms of arthritis. Extracted from the seeds of the Calophyllum inophyllum tree, Tamanu Oil is an ancient South Pacific medicine used as an antiseptic and healing agent. Known to heal acne and psoriasis and scars. Gently steam distilled, giving a soft woody fragrance with a calming and mind focusing scent. Excellent for skin health and Aromatherapy. Smooth decadently over your skin as often as you would like, paying particular attention to scaly skin. I have always been sceptical of natural products, but whilst staying with friends I tried this product as an after shave moisturiser to replace my tube of artificial chemicals. And I love it! Also, I get the occasional basal cell carcinoma skin cancer on my face, which I have removed by surgery. What I have also found is that this cream seems to be clearing it up. It is early days yet but I am hopeful I will not need that operation. I recently visited your store in port vila Vanuatu where I brought this cream I love it it’s cleared up all my dry skin and eczema on my hands and arms I also used it on my face and it’s the clearest it’s ever been!!! 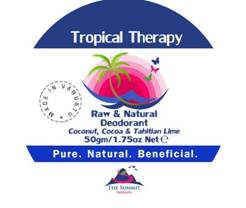 An exotic, free of artificial chemicals, blend of nature’s finest tropical essential and nut oils. This skin food, as it states, is truly nourishing, naturally soothing and hydrating. I wasn’t surprised when my skin reacted to it so well. It made my skin soft, hydrated and glowing. I like using a little bit more of it at night to provide even more moisture and anti-aging benefits. When I wake up in the morning, my skin is very hydrated and refreshed. I love the consistency of the cream – creamy and quite thick, yet not leaving greasy marks. The only minus that one could point is the smell. First time I found it very strong and woody, but it’s just a matter of preference. After a while I really appreciated the scent as it helped me to relax and feel the tropics even in the middle of the winter. Bought this on our recent visit to Vila and love it. I’m sure it helped my sunburn not to dry out and peel And on our return home, one of our wee dogs got a rash on his belly – this also appeared to ease the itching and between it and the pawpaw cream we already had, it cleared up in a day or 2. Now to try some of the other goodies on your site. Thanks again for a great product.